This book is written in Turkish and contains a collection of more than 2500 Uighur proverbs and idioms. Majority of Uigurs live in the Sinkiang-Uighur Autonomous Region of China today, and they speak a Turkic language that is related to other Turkic languages such as Modern Turkish, Uzbek, and Kazakh. 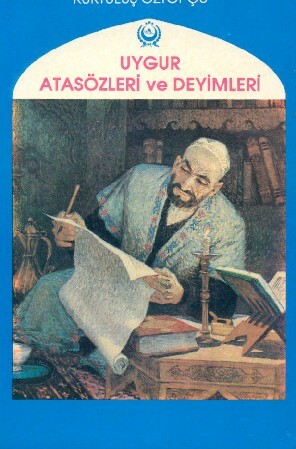 This book represents the first extensive collection and study of Uighur proverbs in Turkish. The first section of the book is on the history, literature, and language of the Uighurs, and it provides a general look at Uighur proverbs, including at the structure and the historical sources of Uighur proverbs, as well as their comparison with other Turkic proverbs. This section ends with an extensive bibliography of Uighur proverbs and culture. The second section includes more than 2500 Uighur proverbs in their Latin transcription. Each proverb is explained in Turkish. If the same or a similar proverbs exist in Turkish, these are also indicated.